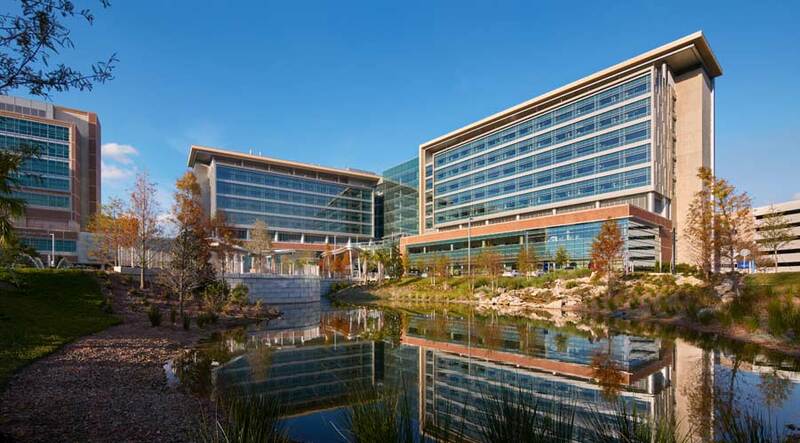 Selected as one of the year's top designs in the healthcare field, UF Health Heart & Vascular Hospital and UF Health Neuromedicine Hospital is featured in the August issue of Healthcare Design magazine. Flad's project was one of four to be recognized with an Honorable Mention award, the magazine's second-highest distinction. 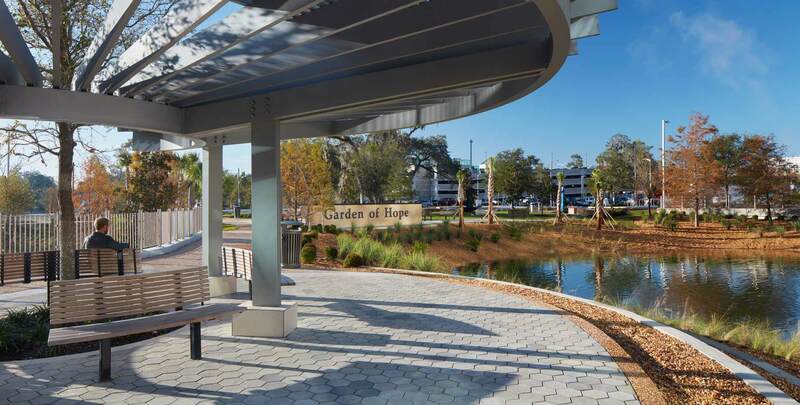 Jurors quoted in the magazine praised UF Health's central park concept for the ways it connects nature to the architecture, as well as its sweeping outdoor terrace, which provides several outdoor rooftop gardens for retreat and space for hospital and community events. The magazine's jurors, who include healthcare designers and executives as well as consultants and strategists, also noted the design team's use of graphics to aid in wayfinding within the new campus gateway. 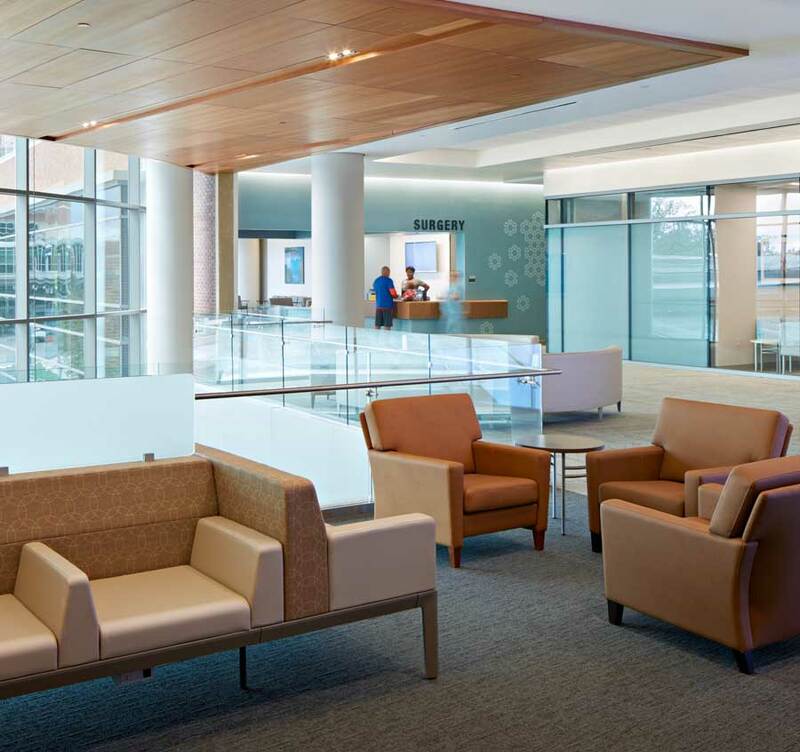 The UF project combines two distinct hospital groups into one integrated facility, providing inpatient and outpatient care at one location and promoting physician collaboration, efficiency and, mostly, patient convenience. 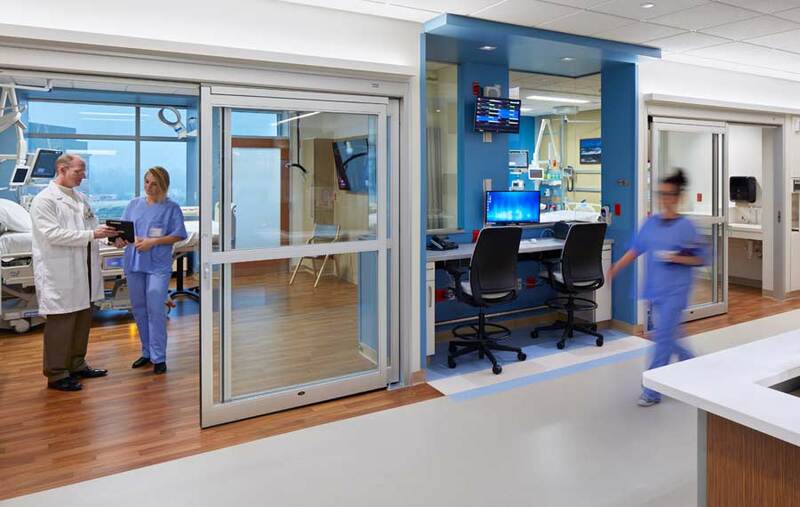 Inclusion in the 2018 Healthcare Design Showcase is the project's second outstanding achievement in the past year; it was previously the first hospital in the U.S. to attain four Green Globes, which is the top sustainability rating bestowed by the Green Building Initiative.